If There Were an Award for Largest Cajones . . . If there were an award for the largest cajones at the 26th annual San Diego International Wine Competition, Cakebread Cellars and Flora Springs Winery & Vineyards would have finished in a dead heat. 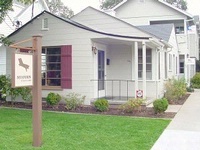 These producers are established presences in the Napa Valley with a long tradition of excellence. Their wines are good and they know it. So boldly they go where many of their neighbors fear to tread, sending their wines up against all comers in a large commercial wine competition. No worries mates! When you've got the goods, you've got the goods. Cakebread fared slightly better, although both did extremely well. 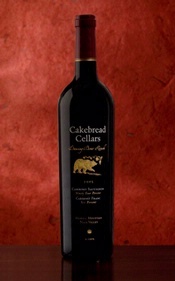 Cakebread's 2005 Dancing Bear Ranch Cabernet Sauvignon, Howell Mountain ($106) won a gold medal and was put forward by the judges to be tasted in the "Sweepstakes" round of voting for Best of Show red wine. Its 2005 Syrah, Carneros, Napa Valley ($50) earned the same lofty accolade: Gold Sweeps. Chief Judge Michael Franz, the Editor here at WRO, was so impressed with the Cakebread Dancing Bear Ranch Cab that he reviewed it on this week's WRO Reviews page and gave it a whopping 95 points! 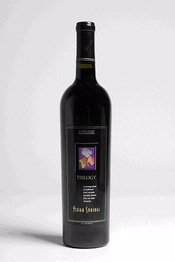 Flora Springs scored gold medals with its 2006 Trilogy, Napa Valley ($65) and 2005 Cabernet Sauvignon, Napa Valley ($36). Both wineries drew silver medals for their distinctive Sauvignon Blancs. What's impressive about this is not only the performance, but the courage to trust that your wines are as good as you claim they are and that a group of professional wine judges, tasting blind, will agree. Many producers in the Napa Valley seem to have forgotten that it was a wine competition, the infamous Judgment of Paris, that propelled Napa into national prominence and gave it a leg up on every other wine producing region in the United States. This spirit of competitiveness, i.e., winning a medal or ribbon at the fair, is as American as apple pie. Nice to see that at Cakebread and Flora Springs they aren't resting on their laurels, and that both realize there is a time to put up or shut up. Kudos to Cakebread and Flora Springs! 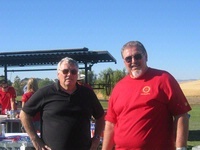 In the picture above I'm chatting with Gary Eberle at the start of the Paso Robles winery cookoff last summer. This is an event that Gary organized to raise money for college scholarships for local kids. Gary is more than just a winemaker and a gentrified vintner. He is the Godfather of the Paso Robles wine industry and a pillar of the community, where he settled more than 30 years ago after starring in football at Penn State University. He learned his winemaking at UC-Davis and was one of the earliest pioneers in Paso Robles wine. He introduced Syrah to the region in the 1970s, and has long produced one of the best Paso Robles Cabernets. The thought that Paso might one day be counted among the finest wine regions in California might have occured to Eberle, but few others shared that sentiment when the Eberle Winery first opened its doors. I was sitting about 20 feet from Eberle on Sunday when his 2007 Barbera swept the prize as Best of Show red wine at the 28th annual San Diego International Wine Competition. The judges had their hands raised and the counters were counting and Big Daddy Eberle, one of the 34 judges, was tapping his feet and nodding his head. He knew what none of the other voters knew, for they were tasting and voting "blind", meaning they were unaware of the identity of the wine. "I knew it was my wine," Eberle told me shortly after the winning wine was unveiled. "I know that taste." It was a good moment to be Gary Eberle. He had another wine, the 2003 Eberle Reserve Cabernet Sauvignon, in the Sweepstakes vote for Best of Show red, and life was good, for Gary Eberle is a true believer in the intrinsic value of wine competitions. He espouses the virtues of gold medals everywhere he goes, and has told me many times that medals boost his sales. Every year he ponies up the entry fees and sends his wines off to several carefully chosen competitions, knowing that his wines are good and will win their share of the gold. And so it was on Sunday as I smiled and thought how fitting it was that the Godfather of Paso Robles wine had finally walked off with the big prize from one of my wine competitions. No one has ever deserved it more. It seems to me California Pinot Noir is coming of age. At the very least the state of current California Pinot is a far cry from the era when a few names -- Williams Selyem, Gary Farrell and Dehlinger -- dominated the conversation. From Santa Barbara's Santa Rita Hills in the south to Mendocino's Anderson Valley in the north, there's a buzz about California Pinot like never before. My favorite discoveries over the past year were Black Kite, a newcomer to the Anderson Valley with a stunning array of block-specific Pinots from its estate vineyard, and the well-financed Freestone Vineyard (owned by Joesph Phelps) that straddles the Russian River Valley and Sonoma Coast appellations. What is compelling about each is the fealty to structure, balance and terroir. Both wineries have abandoned the old notion of letting the grapes hang so long that the ultra-ripe wines they make are thick and sappy, almost sweet. They deserve all the kudos they get. I've recently come across another California Pinot Noir producer cut from the same cloth, a tiny outfit with a small tasting room off the square in Sonoma. 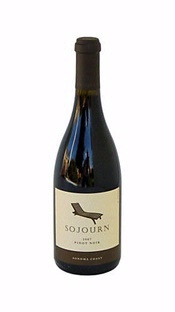 Sojourn Cellars specializes in Pinot Noir and Cabernet Sauvignon. Forget the Cabs. Their Pinots are the stars, and the 2007 Sojourn Sonoma Coast Pinot Noir at $36 is probably the finest California Pinot for the money in the marketplace today. It's loaded with gorgeous red-fruited aroma, firm acidity and a hint of minerality. This wine has superb mouthfeel, and exceptional length in the finish for such a young wine. Three vineyard designates -- Sangiacomo Sonoma Coast, Gap's Crown Sonoma Coast and Demuth Anderson Valley -- all from the 2007 vintage, come in at $48 per bottle. These are distinctive wines that express specific vineyard characteristics, but they all have this in common: exquisite balance and elegance. I rated all four of these remarkably complex California Pinots 90-plus points, and certainly hope other producers come to look at the style embodied by Sojourn, Black Kite and Freestone as the model for the future of California Pinot Noir. Winemaker Reggie Hammond of Ventana Vineyards may have earned a new nickname over the weekend. "Mister California Riesling" scored a rare double when his 2007 Ventana Riesling swept the vote for Best of Show white wine at the 2009 Monterey Wine Competition. The same wine also captured the white wine sweepstakes at the San Francisco Chronicle wine competition earlier in the year. 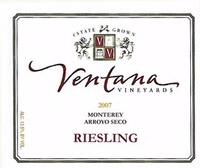 What's more, the 2006 vintage of Ventana Riesling was Monterey's Best of Show white in 2008, giving Hammond and the winery back-to-back titles in the international wine competition right in their own back yard. In these challenging economic times, anyone looking for a great bottle of wine at a fabulous price should load up on Ventana. And not just the Riesling. Ventana's 2006 Rubystone, a red Rhone-style blend, finished second in the voting for Best of Show red. Both wines carry a suggested retail sticker of $18. The sweepstakes vote for Best of Show red yielded a stunning Merlot from Washington's Columbia Valley. Barnard Griffin's 2006 Reserve Merlot ($35) was the favorite of the judges and enjoyed enthusiastic support to win in a landslide. Navarro Vineyards took the title of Best of Show dessert wine with its 2007 Cluster Select Riesling ($59). Navarro's '07 Late Harvest Riesling finished third, giving the stellar Mendocino County winery a strong showing in the dessert wine category.